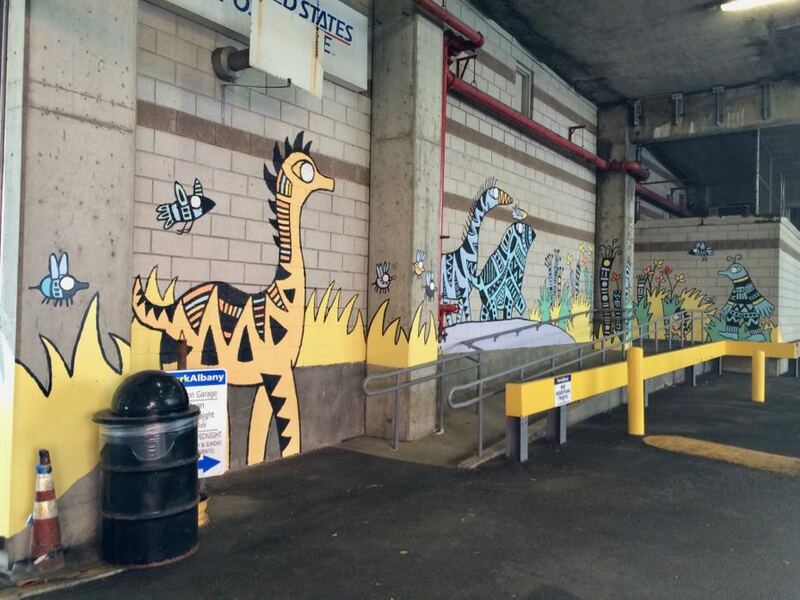 Cara Hanley's mural is on a section of the Green-Hudson parking garage (map) garage wall that faces Green Street. 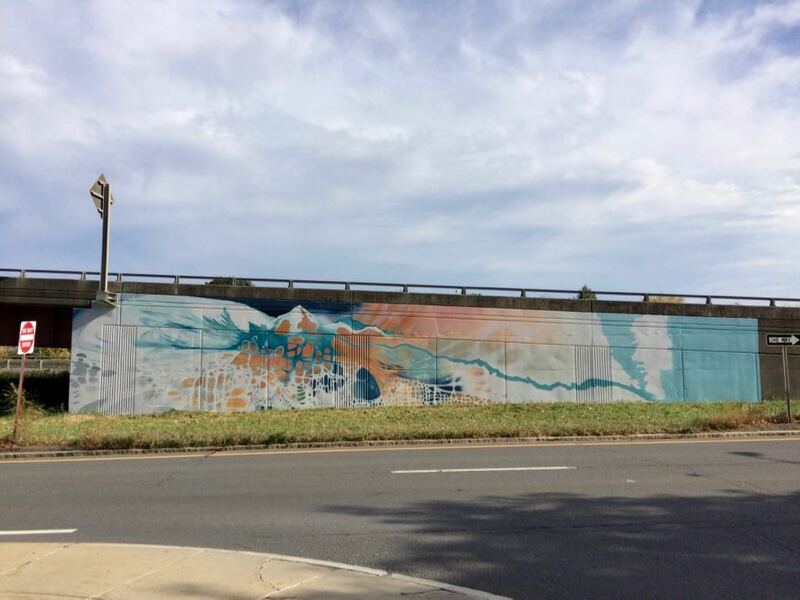 Hanley said her mural was inspired by dreamscapes. 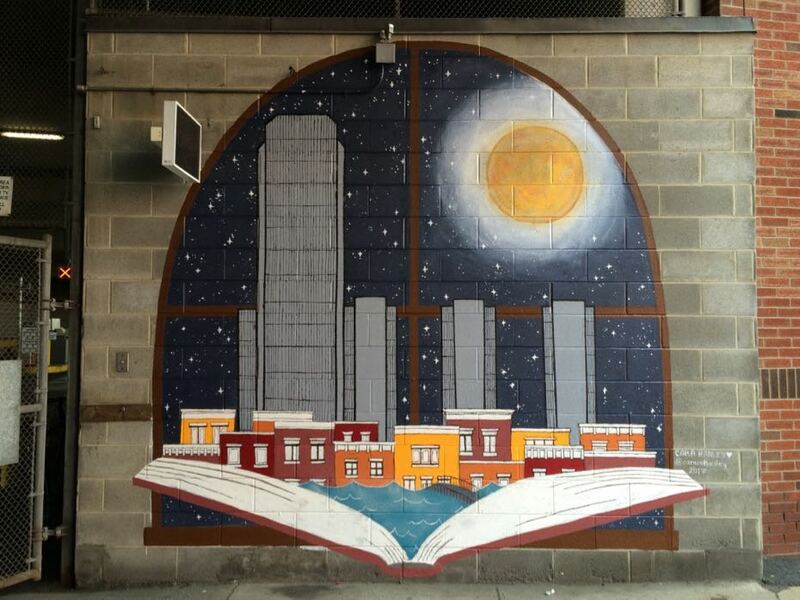 It depicts the Albany city skyline rising from the river and a book. 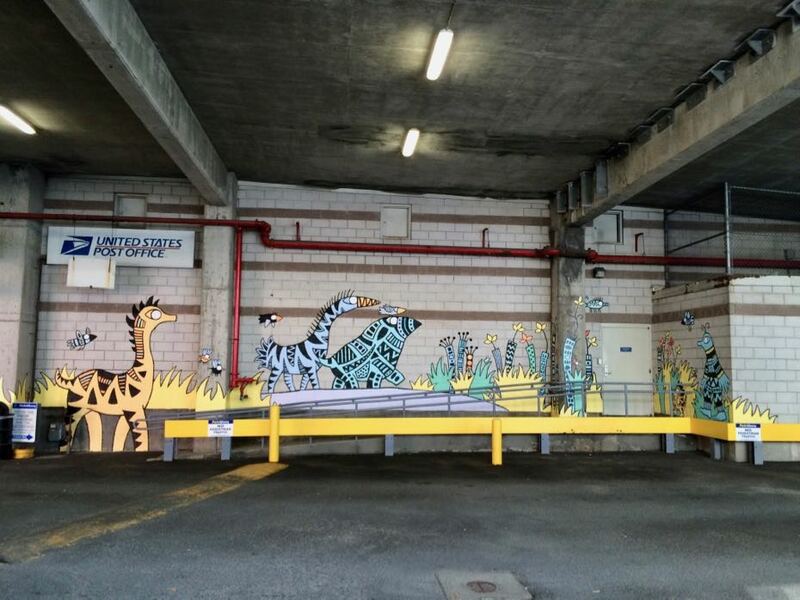 Sylvie Kantorovitz is an illustrator and author of children's books. 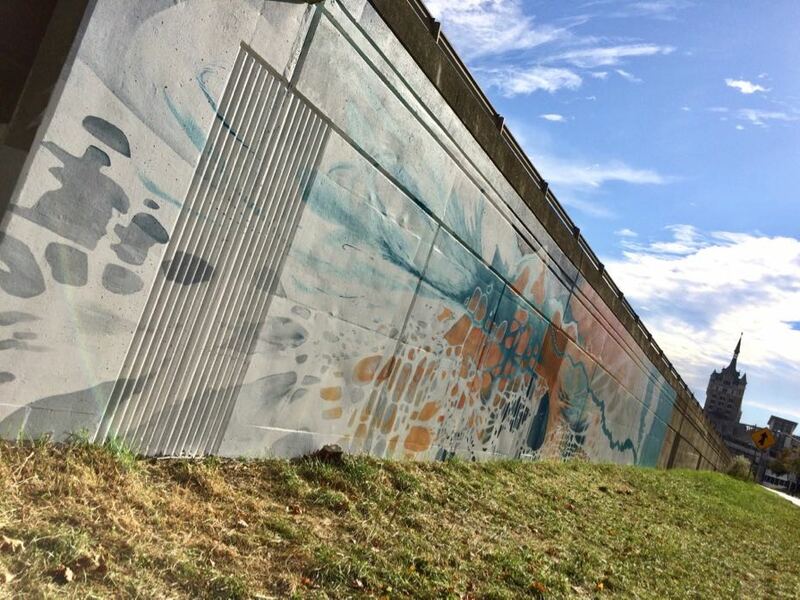 Her mural wraps around the corner of the Green-Hudson garage just about 25 yards down the street from the Hanley's mural. She wanted to create fanciful creatures as if they've taken up the garage as their habitat -- and sometimes venture our into our world. You might already know some of her work. 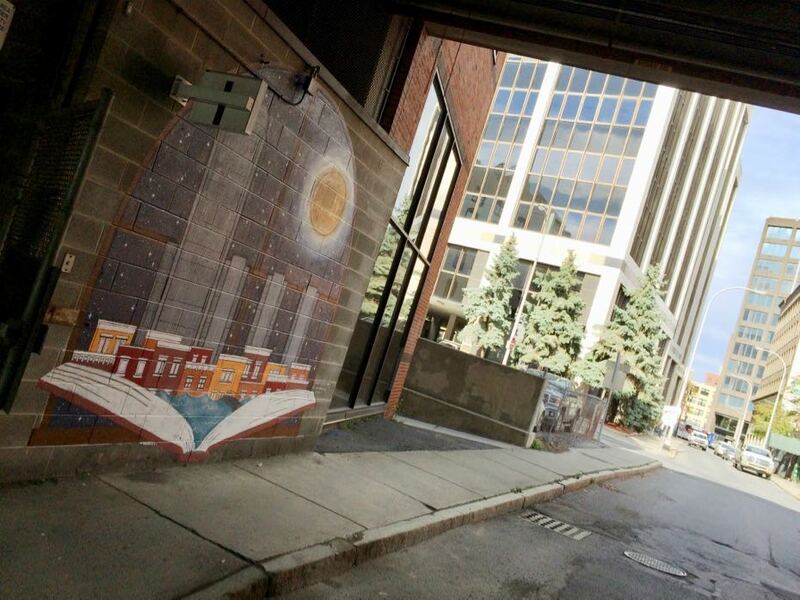 She created the mural on the plywood facade at 27 N. Pearl and Maiden Lane in downtown Albany. 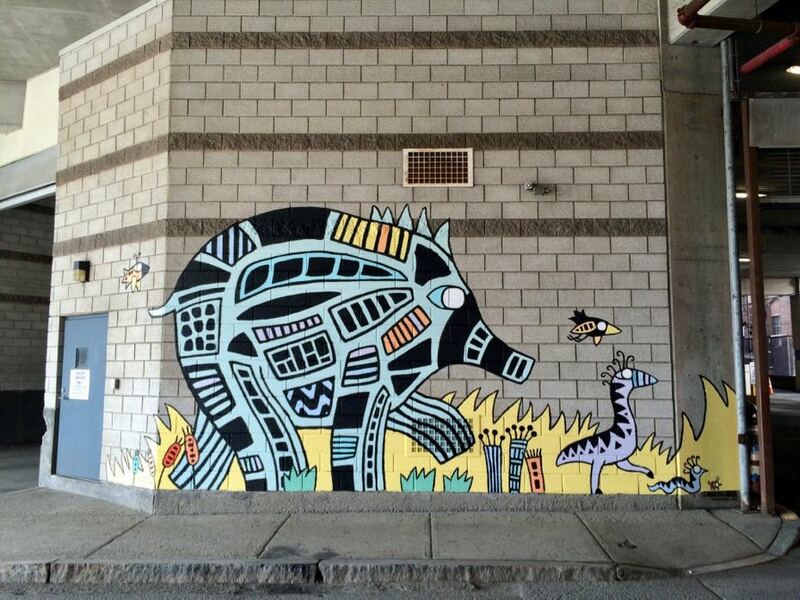 My God, I'm in love with Sylvie Kantorovitz's mural ! @Greg kern - that one is my favorite, too! Really cool, especially the one by Sylvie Kantorovitz. Love the style. I always enjoy checking them out as I pass by.